According to the U.S. Environmental Protection Agency (US EPA) it is estimated that 20,000 American lives are taken by lung cancer deaths each year caused by radon. Its presence in your home can pose a danger to your family's health. 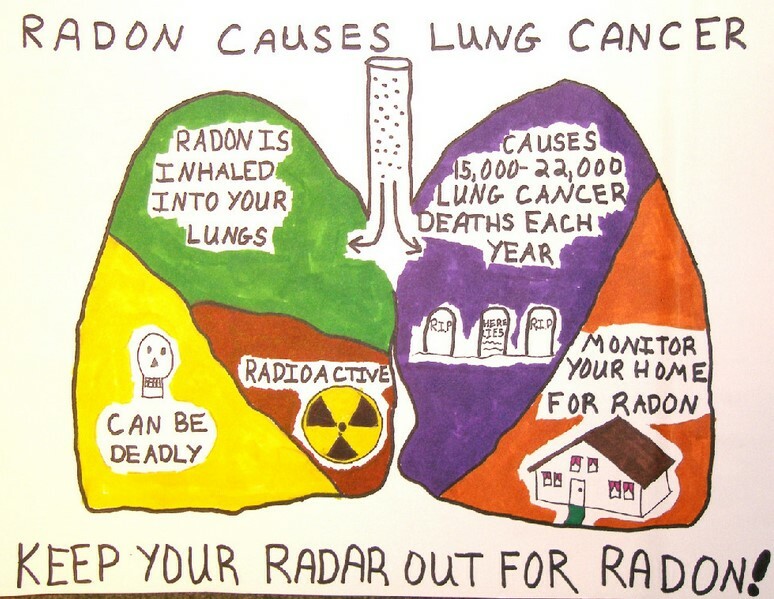 Radon is a cancer-causing natural radioactive gas that you can’t see, smell or taste. It is the second leading cause of lung cancer and is the leading cause of lung cancer among non-smokers. How can I tell if there is radon in my home? 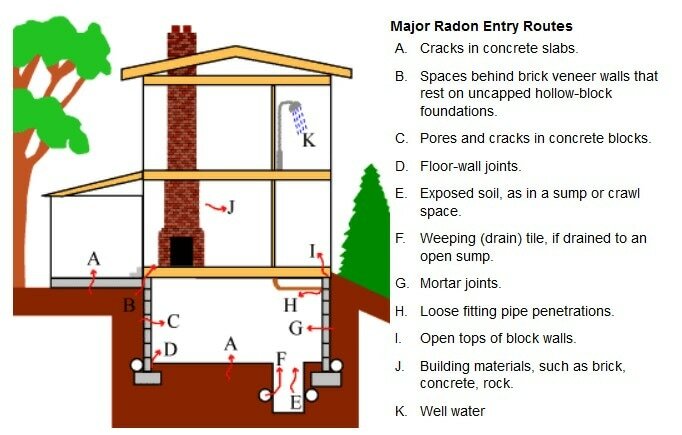 There are a few methods of testing levels of radon in a home. The simplest tests are DIY home test kits. A collection device is supplied with each test that you let sit in your home for a few days. The collection device is then sent to a lab where a lab analysis is done to determine the levels of radon present. You typically get the results back within a few weeks. Most home test kits charge a lab fee in addition to the cost of the kit. The other option is to have a professional such as All In One come to your home and perform an on-site test. We can quickly determine the levels of radon present in your home and even talk with you about mitigation strategies. What can be done to protect my home from radon? There is a mitigation technique suited for every home. Call today and we will be happy to answer all of your questions. If you’re looking for a certified radon mitigation contractor near Stevens Point WI, look no further because we’re the top licensed radon mitigation company in Stevens Point! 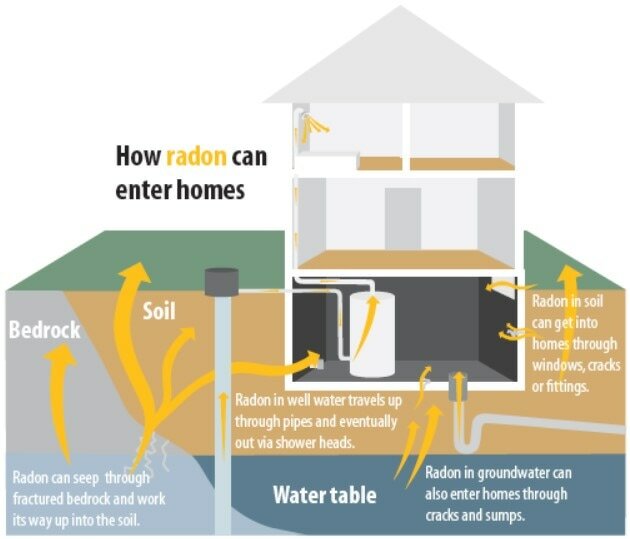 Wisconsin homes are at risk for radon gas exposure which occurs naturally during the breakdown of uranium in the ground, rock and water. If you’ve got radon gas in or around your home you want a professional radon mitigation service provider like All In One. Our professional and licensed crew can assist you with radon removal, mitigation and eradication. If you’re searching for a licensed radon removal company in or around the Stevens Point WI area, pick up the phone and call us today requesting more information about our professional radon removal services. We’re licensed and certified, a reliable radon removal contractor you can trust and we’re here to help you remedy your radon problems in and around your home. We specialize in radon mitigation fan installation for Stevens Point, WI and surrounding areas. Do you have questions about mitigation fans and the installation process? Perhaps you’re looking for the best rates in the area or simply would like to request a quote. We pride ourselves on delivering the best service around from start to finish while installing a radon mitigation system fan at your home or business. We also do radon mitigation system installations! When you’re looking to install a radon mitigation system at your home or business location it helps to know who you can trust to do a world class job from beginning to end. Whether it’s a quote request or you initial conversation is to simply have a heart to heart talk about the importance of eliminating radon in your home by installing a radon mitigation system, our installation crew knows their stuff would be happy to assist you in determining if a radon mitigation system is the right fit for your needs and the needs of your home or business. We also do maintenance on radon mitigation systems in the Stevens Point area and surrounding communities. If you happen to find yourself in need of a technician to provide maintenance and troubleshooting with your current radon mitigation system, All In One is your one stop source and the go-to expert in the field of radon mitigation system installations in the community. We also provide professional radon testing and analysis of the current levels in your home. Radon testing should be left to the experts unless you know what you’re doing in terms of testing your home or business’s radon levels with a home test kit. If the radon levels in your home are out of control or in the danger zone, we can not only test for radon but also design a mitigation system that will suit your unique needs and situation. Looking for a radon radon reduction specialist? Call it radon mitigation, radon reduction or radon removal we all you mean the same thing, right? When it comes to radon removal you want a specialist that will keep you primary focus and concerns in mind throughout the entire mitigation process. We’re one of the best radon water mitigation system contractors in Stevens Point WI and surrounding communities. Radon removal and mitigation can be a total nightmare if you’ve got no idea what to do to remedy your current situation so make sure you pick up the phone and speak to one of our radon reduction specialists, make sense? "The Best Radon Water Mitigation System Contractor in Central Wisconsin"
Did you know radon can enter your home through the water you drink, wash dishes in or shower your kids? 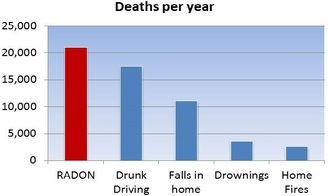 According to the surgeon general, radon exposure is the second leading source of lung cancer within the Unites States of America - pretty scary huh? 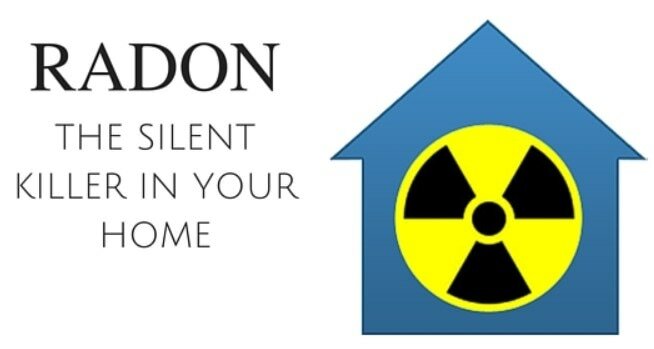 If radon exposure is a concern to you, please feel free to pick up the phone today and speak with one of our radon mitigation specialist today, you’ll be glad you did! When folks want a certified radon testing company near Stevens Point, WI, All In One should be your first call for anything radon related. We’ll provide you with accurate radon testing AND create a game plan for you to follow so that radon doesn’t have to be a constant concern for you any more.